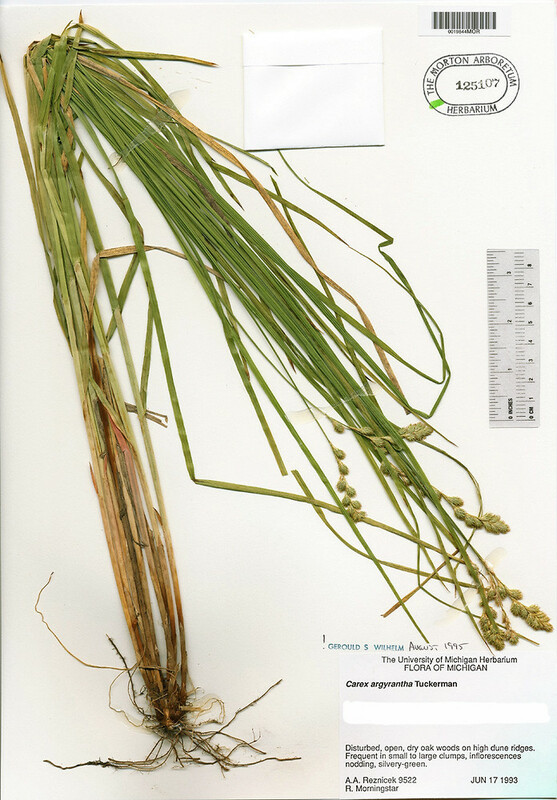 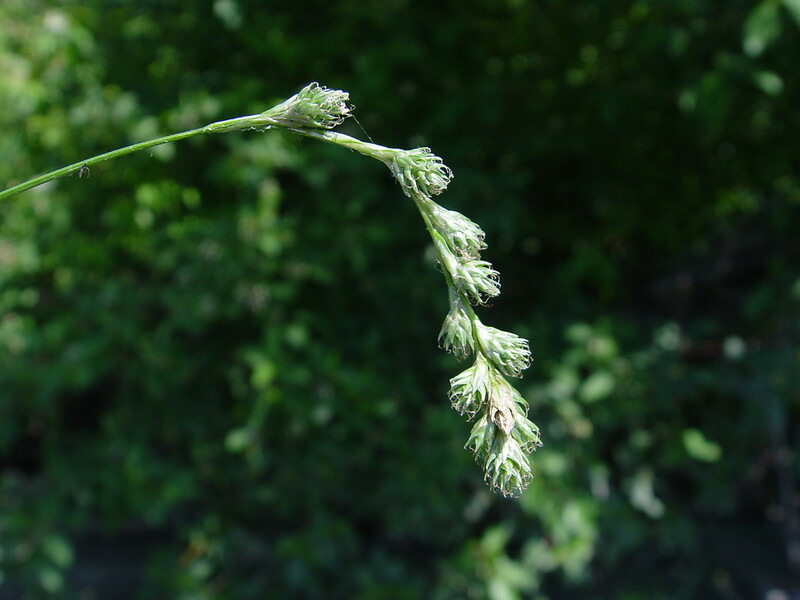 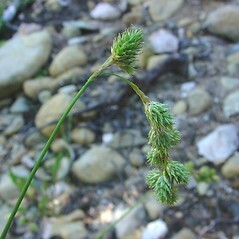 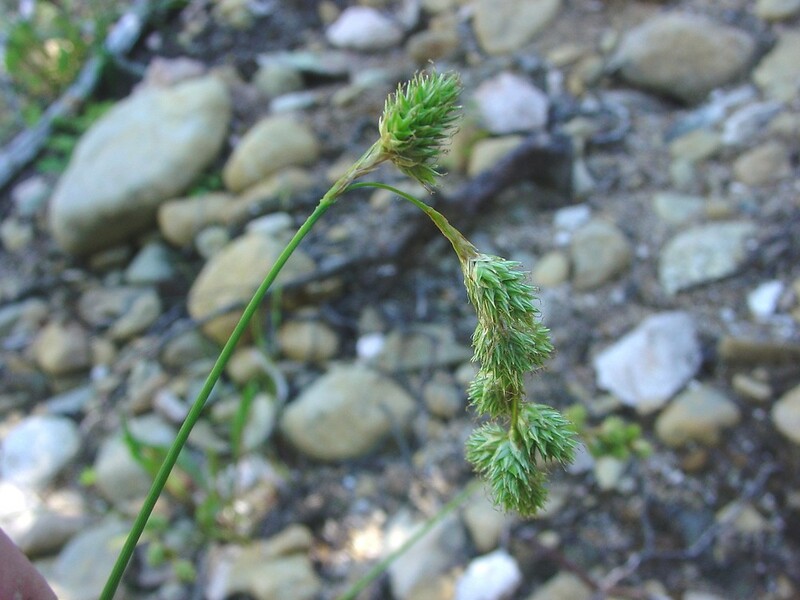 Silvery-flowered sedge is in the difficult Ovales group of sedges. 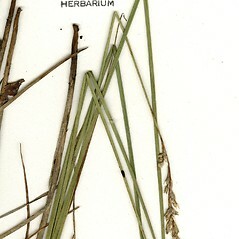 It has large white-green carpellate scales greater than the length of the perigynia. 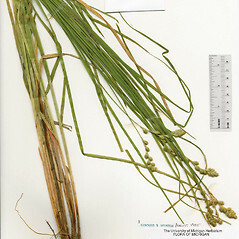 perigynia smooth, without veins or with 4-8 curving veins on the adaxial surface, and carpellate scales red-brown to green or gold-brown (vs. C. argyrantha, with perigynia granular-papillose, with usually 5-8 +/- parallel veins on the adaxial surface, and carpellate scales white-green). 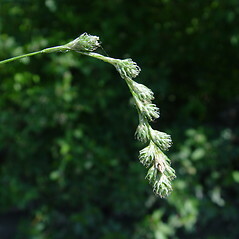 silvery-flowered sedge. 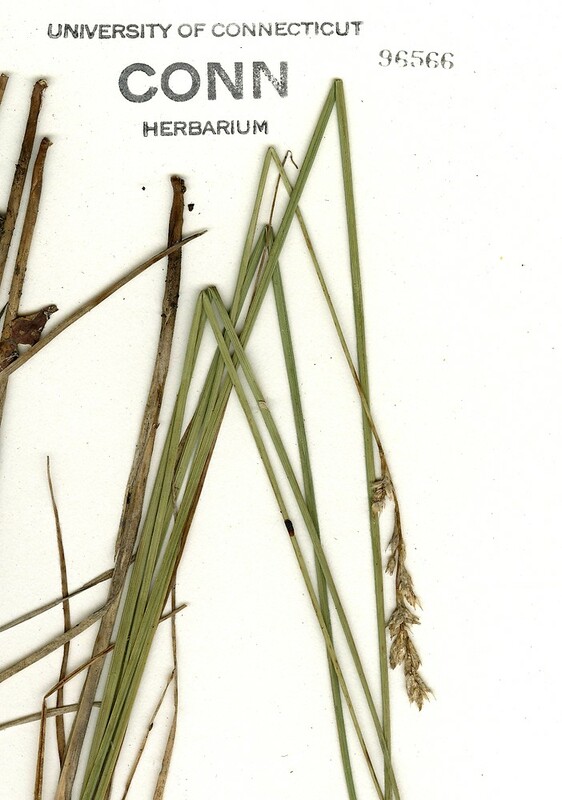 CT, MA, ME, NH, RI, VT. Dry-mesic to xeric, often disturbed, sandy soils of fields, woodlands, and roadsides.